I did all these things by playing around with the background,words,color and sizes. For the background, I move my picture around. for the words, I went to sizes to see which one looks best. For color, I went to stoke and played with color then I saw the rainbow and thought it was cool. In this image you see words and just a picture. 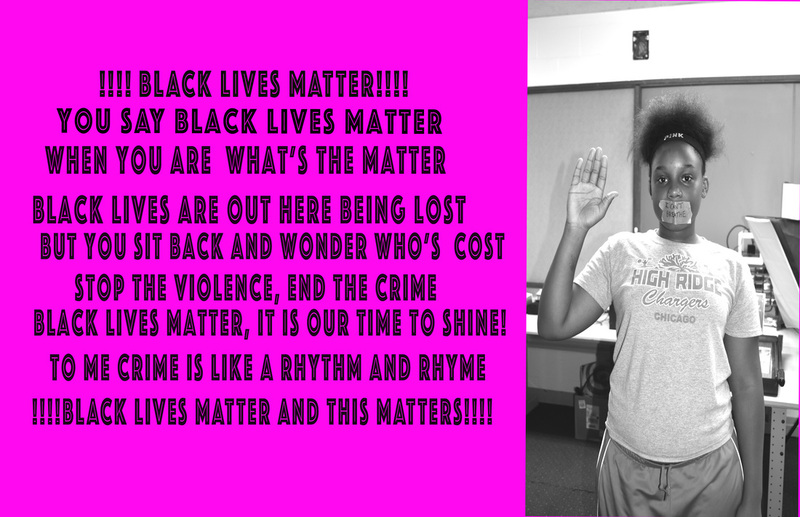 Outside looking in and picture can mean alot what does it say, Black lives matter!!!! and I can't breathe thats means something and I want to show you something . You see powerful words. I Don't wanna break that. I got this idea from think about people lives that had been lost. People that want love, people that just want other to stop the crime end the violence and put the guns down. I tried to help no it is the rest of the world turn. My message is to show how strong it isle are saying, we as black people.. I made this a future city because, it is different and unique to such as the people that live in niyah world. Is juan, alyssa , jamar , jayla. we had some grat times working and build to make are future city a winderful and safe place. And it is a future city cause if people weren't there to what would it.